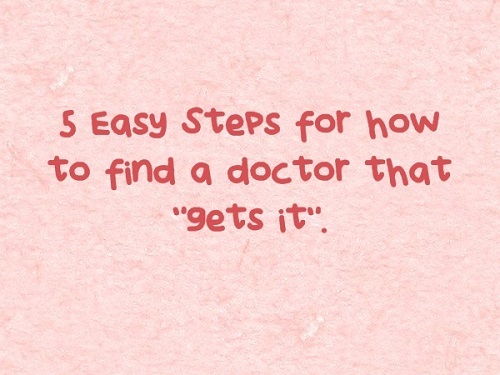 Are you overwhelmed trying to find a health care provider that “gets it”? Someone that is legit, not too woo-woo and who cares about you? You’ll want to pay close attention if you are looking for a professional with a natural approach. 1. They should be licensed. Look for somebody with an accredited degree. For example, seeing a Doctor of Naturopathic Medicine, Doctor of Chiropractic, Doctor of Osteopathy, Registered Massage Therapist, Licensed Acupuncturist etc. means that they have completed an undergraduate degree, followed by specialized post-graduate degree and standardized licensing exams. Although there are lots of great weekend courses out there, there is no substitute for a rigorous medical education when it comes to your health. You want to know that you are in good hands. If friends or family members are having good results with a certain practitioner, ask who they are seeing. Most people are only too happy to recommend their go-to person. Likewise, check for social media involvement – a website that is frequently updated, blog, Facebook, Twitter, YouTube videos etc. etc. show that the practitioner is engaged with current health issues and welcomes patients who are ready to “do the work“. Likewise, a good practitioner also knows when it is time to refer you elsewhere. 4. …and willing to look outside the box for answers. We are all different. What worked for your neighbour’s Irritable Bowel Syndrome may not work for you. You want to know that your naturopath won’t throw in the towel if the tried-and-trues are not getting you the results that you want. 5. Someone with whom you feel comfortable expressing your concerns, thoughts and opinions. This is by far the most important of all. Regardless of the piece of paper on the office wall, the number of years in practice or how busy the waiting room, you want to feel comfortable. Your naturopath, chiropractor, massage therapist, or acupuncturist should want to know how you are experiencing your symptoms. You should never feel pressured into treatments that you are uncomfortable with or come home with hundreds of dollars in supplements that you don’t why you’re taking. You should feel free to be honest, express your concerns and get feedback. Checking that your Naturopath has experience in treating the problem your are experiencing is very important. Naturopath's levels of experience with different health disorders can vary, as with any other medical profession. 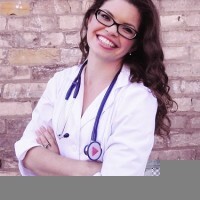 Dr. Keila Roesner ND, is the black sheep daughter of two musicians, the great-granddaughter of a Chippewan medicine woman and a lover of plants, animals and people from all walks of life. Her goals for her patients are to help inspire lifelong growth by teaching the foundations for good health, strong relationships and positive coping mechanisms. She happily welcomes new patients, men, women, children and families into her Stratford, Ontario naturopathic practice. She is also an enthusiastic barefoot-strolling, music-loving, yoga-doing kitchen wiz—who also happens to be a wrestling fan. Check Keila out here.